We are a family owned company. 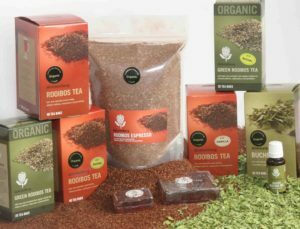 Rooted in the local community with extensive experience gained over generations in the production of rooibos and buchu products. As we are both growers and processors of our own produce. We can ensure the contain the highest standards in the entire production process. As such we take pride in the outstanding quality of our products. We firmly believe in biodiversity-friendly farming methods, and are actively promoting sustainable best practices. The flower depicted on the Skimmelberg logo is that of the aptly named Protea magnifica. Also commonly known as the Queen Protea, its exquisite flowerhead is the second largest of all Protea species…. Fynbos is the species-rich principal vegetation type of the Cape Floral Kingdom. As a result it has been declared a World Heritage Site by Unesco in 2004. Fynbos includes Rooibos and Buchu, both of which are endemic to the Cederberg region. Both occur naturally on our farms on the slopes of the Skimmelberg Mountain. The Mountain is named after the dapple-grey appearance of its rock-strewn peak. Buchu has been harvested on our farms in the wild for the better part of a hundred years. Originally put in bags and carried down the mountain on foot or by donkeys. 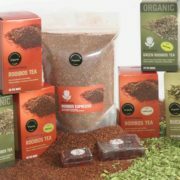 Rooibos joined Buchu more recently as a crop, when it became popular early in the first half of the last century…. We subscribe to the aims of the GCBC, which it states as being essentially about people, the rural communities and and also the landowners. Hence how they use the land to achieve a common purpose of sustainability, through appropriate conservation. And as well as the management of the natural resources of this unique and diverse region. Finally one of the principal goals of the GCBC is to restore and maintain connectivity across the landscape, through voluntary stewardship partnerships with landowners…..
We have adopted environmentally friendly farming and production practices therefore working in harmony with nature by making use of its natural resources. An example of such practices is the use of organic liquid fertilizer also known as compost tea.This is made on our farms with the process of vermicomposting. Another practice is the use of carbon-neutral fuel in our essential oil distillation plant. 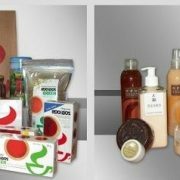 As a result we have gained certification of our organic products from CERES, an independent certification organization representing the highest international standards for nature-friendly products….